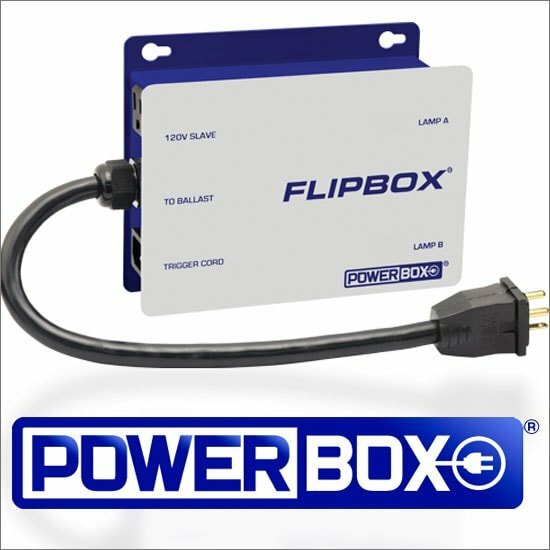 The original Powerbox Flipbox allows an individual ballast to run two lights — one at a time — by switching back and forth at a user-specified interval. 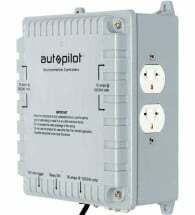 This unit works with virtually all magnetic ballasts and with most new digital ballasts. 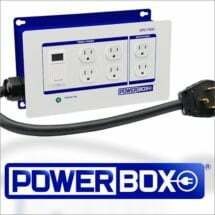 From one central location, a timer or other device can sync all of your ballasts. 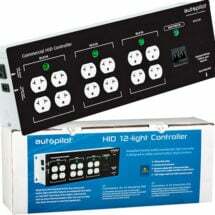 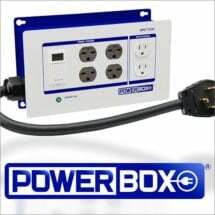 Includes four outlets for running ballasts – no need to change power cords!